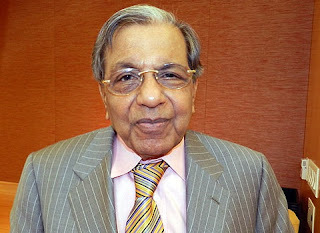 Government on 27th November appointed former Planning Commission Member N K Singh as chairman of 15th Finance Commission, which among other things will look into impact of GST on finances of the Centre and states, said a notification. The commission will recommend devolution of shareable central taxes to the states and their inter-se distribution. The commission will also review several important aspects of federal fiscal finance. The commission will make recommendations, by October 2019, for five years commencing April 1, 2020, said the notification announcing the constitution of the panel. Other members of the commission, which is required to submit its report by October 2019, are former Economic Affairs Secretary Shaktikanta Das and former Chief Economic Advisor Ashok Lahiri, Niti Aayog Member Ramesh Chand and Georgetown University professor Anoop Singh. The commission also suggests the principles which should govern the grants-in-aid of the revenues of the states out of the Consolidated Fund of India. N. K. Singh (Nand Kishore Singh) is a politician, economist and former Indian Administrative Service officer. He is a senior Member of the Bharatiya Janata Party (BJP) since March 2014 after having served as a Member of Parliament in the Rajya Sabha (2008-2014) from Bihar. He has been a senior bureaucrat, Member Planning Commission and handled assignments of Union Expenditure and Revenue Secretary and Additional Secretary Economic Affairs connected with International organisations like World Bank, IMF and UNDP. He was also Officer on Special Duty to Prime Minister A.B. Vajpayee.